Most Immigrants In U.S. Illegally Reside In 20 Metro Areas, Pew Study Finds : The Two-Way They account for 1 in 4 foreign-born U.S. residents. Also, they tend to live in the suburbs and work in construction, service and leisure hospitality jobs. Immigrant rights advocates protest then-President-elect Donald Trump's immigration policies last month. A new study shows that more than 60 percent of the people in this country illegally are concentrated in 20 metro areas. The majority of people in this country illegally reside in just 20 metropolitan areas, with the largest concentrations found in New York, Los Angeles and Houston, according to a new study published by the Pew Research Center. The estimates are based on government data drawn in 2014 showing that there are about 11.1 million people in this country illegally. The data shows that the 20 metro areas were home to 6.8 million of them, or about 61 percent of the total. "So they are much more concentrated in these places because only 36 percent of the overall U.S. population lives in these metro areas," the study's co-author Jeffrey Passel, senior demographer at the Pew Research Center, tells NPR. Passel says demographers at Pew have been publishing population estimates of unauthorized immigrants for several years, but this is the first time they broke down the numbers at the metropolis level. The report says that one-in-four foreign-born residents are people in this country illegally. The estimates might not be news to anyone living and working in the metro areas, but they undercut a fading image of illegal immigration, says Passel. "There's a view of unauthorized immigrants as working in agriculture, meat processing and doing jobs in rural areas, but there's just not a lot of workers in agriculture," says Passel. "The sectors where you find large numbers include construction, service and leisure hospitality," he says. California ranks first in the number of metro areas with the largest populations of people living in this country illegally: Los Angeles, Riverside-San Bernardino, San Francisco, San Diego and San Jose. Texas has three: Houston, Dallas-Fort Worth and Austin. There's another important finding, says Passel. In virtually all of the metro areas, residents in this country illegally tend to live in the suburbs. The only exception is Phoenix. Out of an estimated total of 250,000 people in the metro area, 140,000 live in the city. Many big city mayors have promised to resist President Trump's threat to cut off federal funds to sanctuary cities. 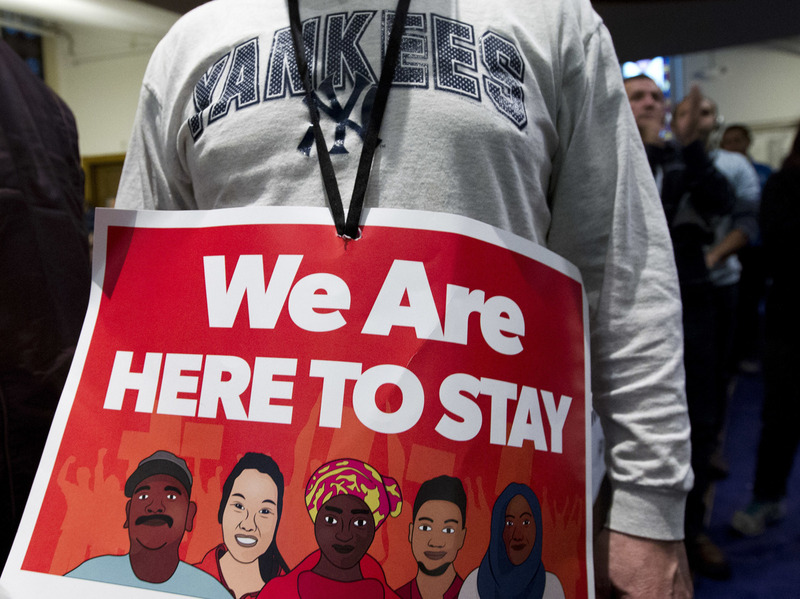 But the fact that most of the unauthorized immigrants live outside of city limits might complicate a mayor's ability to protect them, according to William Frey, a demographer at the Brookings Institution. He told the Chicago Tribune, "This may raise questions of whether or not the sanctuary status is an umbrella one that covers the whole region." And as FiveThirtyEight points out, the metro areas where immigrants are concentrated are also places that Trump lost in the recent election.